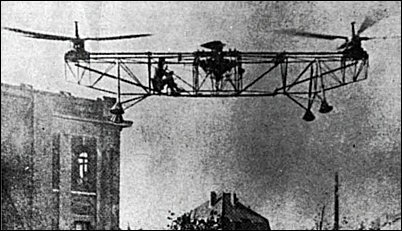 Predecessor of the Piasecki "flying-banana" type of helicopter was this tandem rotor Florine built in Belgium in the mid-twenties. Both its rotors, however, turned in the same direction. one of which hovered at altitude for ten minutes.